The beauty of doing a posting on a building like this is that there is no competition. And little to say. Little to read. No real history. No links. No fascinating tidbits. This virtually windowless, monolithic, hulking behemoth quietly sits at 601 West 43rd Street, relatively unnoticed by most, with perhaps the exception of those whose business takes them there. 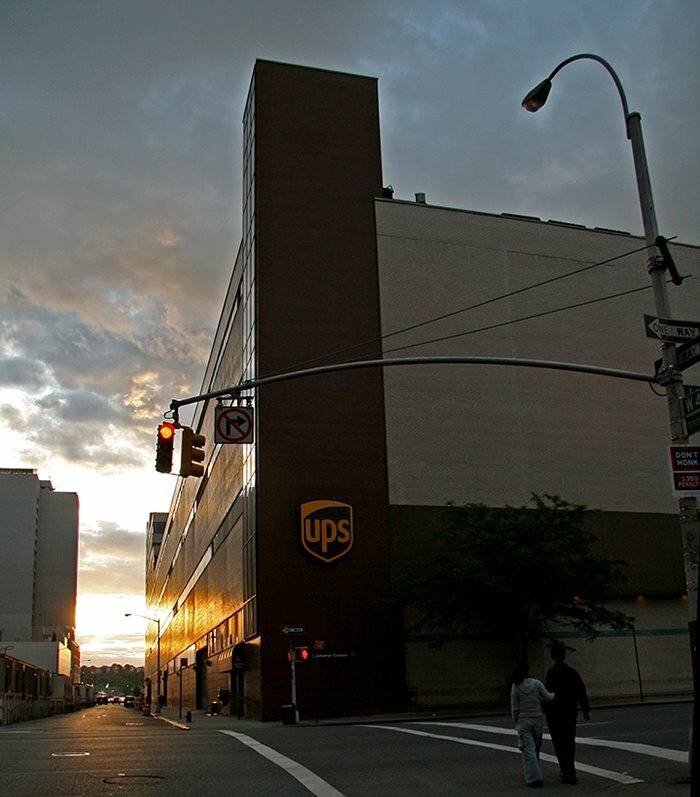 It is the main headquarters for UPS (United Parcel Service). It occupies a full city block from 43rd to 44th Street, from 11th to 12th Avenues. With the exception of the Jacob Javits Center or excursions to Hudson River waterfront attractions, visitors rarely make it to or through here. This area of Eleventh Avenue is populated with auto dealers and other commercial businesses. Yet, I find the extremely mundane to be fascinating in its ability to be so. The focus is typically on the glamorous, exciting, chic, trendy, stylish, beautiful, dramatic, dynamic, sensational and spectacular.